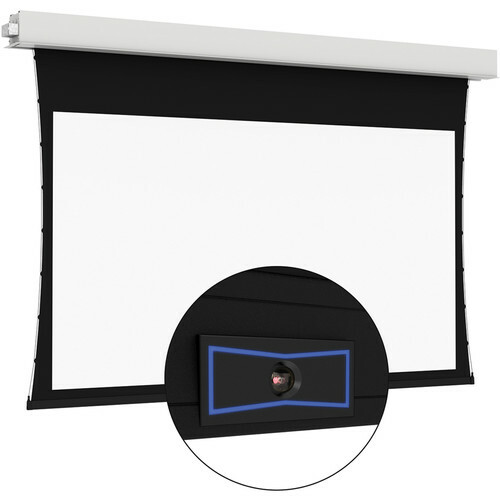 60 x 92" 60 x 96"
The ViewShare Tensioned Advantage 60 x 92" 16:10 Screen with HD Progressive 1.3 Surface (Full Assembly, 220V) from Da-Lite integrates an HD camera into the screen and is compatible with any free peer-to-peer video conferencing software. This item is wired for 220V European. HD Progressive 1.3 is ideal for applications where projector brightness and screen size require an increase in gain. The purest white HD Progressive surface, HD Progressive 1.3 offers true color reproduction and allows for more flexibility with ambient light conditions. It has a gain of 1.5 and a cone of 150°.